We will reach our destination – the entrance to a vast and lush, non-touristic Wadi – after a 40 minute drive. This Wadi is lined with the colorful hills so typical for the Sinai. 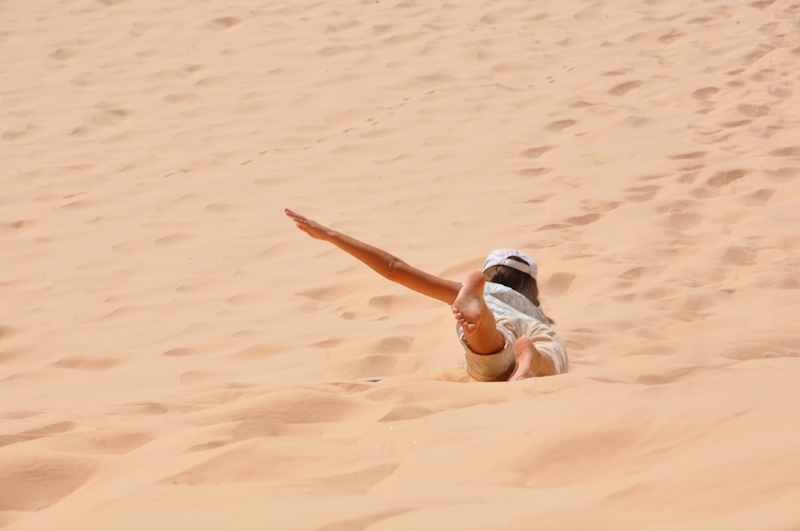 In between those stony hills we will find a beautiful sand dune which can be conquered if you want to. After that we will pass a Bedouin’s drinking water fountain. Through a narrow, rocky Wadi we will get to a huge sandy area lined with smaller hills, canyons and the rock caves of Machrum. We will then enter the cave of the big Machrum via a small sand dune. 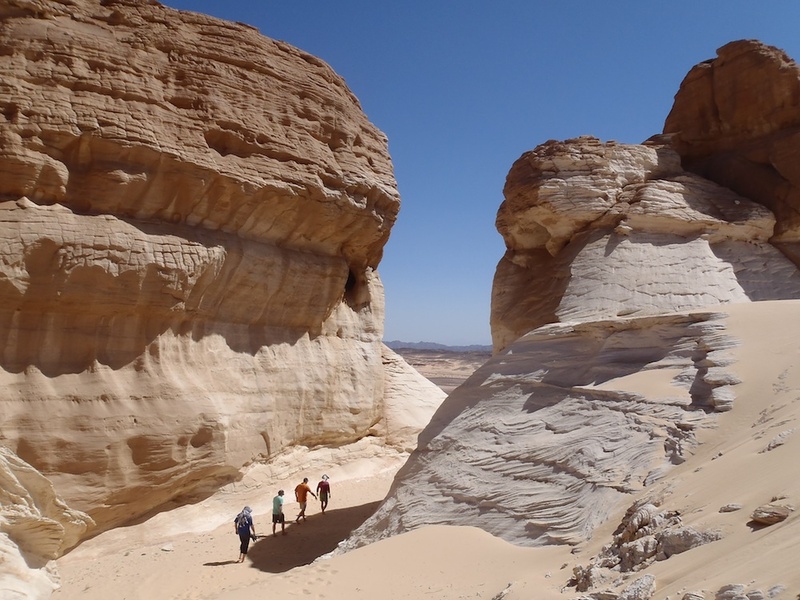 After a little break we will hike to the three most colourful canyons of Machrum to explore them. At the big Machrum we will regain our strength with freshly-baked bread of the Bedouins and tea. 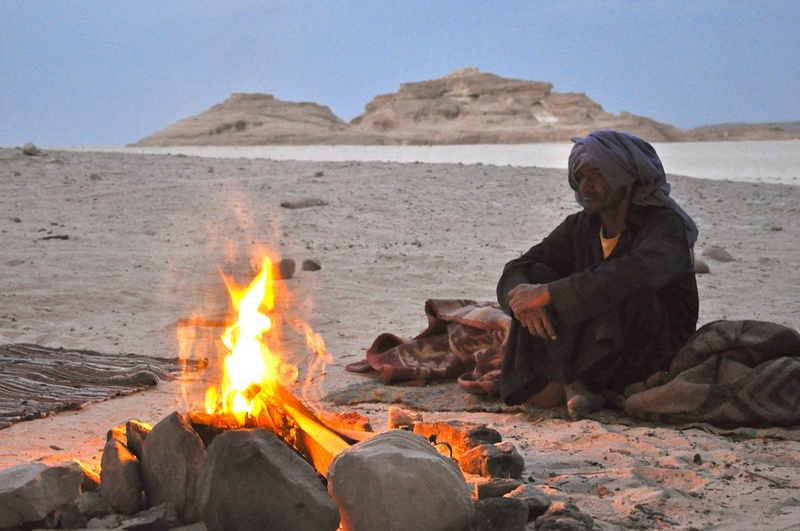 Hiking in the desert is exhausting, but you will also gain a lot: The Sinai will compensate all your efforts with amazing views over the beautiful landscape!. The huge sand dunes are an extraordinary experience – for man and animals alike!